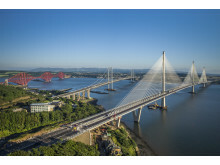 Legends will spotlight Scotland's innovation, such as the Forth Bridge and Queensferry Crossing. Scotland’s first-ever business events digital campaign Legends will be launched on the world stage tomorrow (28 November) at the leading global event for the meetings, events and incentives industry. 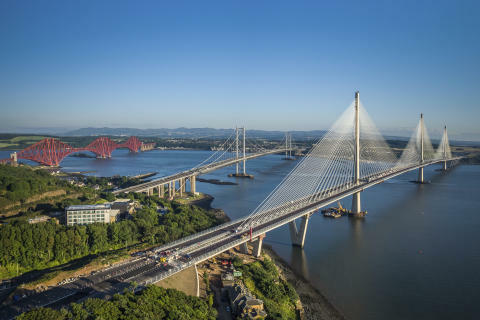 VisitScotland’s Business Events team will encourage top international suppliers and buyers at ibtm world to see Scotland not only as a world-leading destination for hosting association conferences, conventions and congresses but also a hub for collaborations, research and new discoveries. It follows the launch in Scotland of the innovative new two-year digital campaign by the national tourism agency earlier this month. ibtm world is attended by up to 15,000 industry professionals from the Meetings, Incentives, Conferences and Exhibitions (MICE) market. Using the strapline, ‘Scotland. Where Ideas Become Legend’, the campaign, which is a global industry-first, will create a unified voice for the Business Events industry across Scotland to build on the work of the country’s convention bureaux which secured more than £295m worth of events in 2016. Representatives from Glasgow, Aberdeen and Edinburgh convention bureaux will be in attendance at ibtm world where they will share their objectives and experience of the campaign to date. Every two months Legends will focus on a different theme and use the hashtag #ideasbecomelegend for promotion across social media channels. Scotland’s city convention bureaux and regions will contribute each week to promote their own unique messaging around the specified theme. The first theme, Technology, is supported by tech leaders ScotlandIS, the Scottish Association for Marine Science and pureLiFi. Legends will give every city, region and business an opportunity to engage and spread the message of Scotland’s strengths to the world. 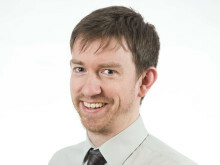 Rory Archibald, Business Development Manager for VisitScotland Business Events said: “Pioneering innovation is in Scotland’s soul and we’re looking forward to showcasing this at ibtm world. We have a legacy of invention, research and knowledge that continues to this day and is being secured for the future. The VisitScotland stand will celebrate the end of the successful Year of History, Heritage and Archaeology with two members of The Clann – bringing a strong visual touch of authentic and skillful Scottish warrior sprit and charisma to the event. As ibtm world also falls over St Andrews Day, for all delegates visiting the stand with the name Andrew, Andrea or a variation of this, there will be a special surprise awaiting them.